Stars & Stripes is not only a nickname for the American Flag – it is also a brand of soft drinks, a ballet, the official newspaper of the United States Armed Forces, an album by The Beach Boys, and The National March of the United States of America composed by John Philip Sousa. When I was in high school, I would time my mornings to Sousa marches. The beat always kept me in perfect time. As most marches were only a few minutes long, usually around 5, I would know how to time my shower, teeth brushing, and driving, accordingly. Now, two step, double time, and let’s decorate our home with American flair via both alternating stars and stripes, sometimes each together. Sixteen mirrored glass panes are skillfully cut, shaped and fitted by hand to create each of these stars. Framed in antiqued brass, the glass has a mottled gilded finish that lends warmth and opulence to the light-catching facets. From Pottery Barn, HERE. A country style, English inspired, sky blue living room. Image via House to Home UK. 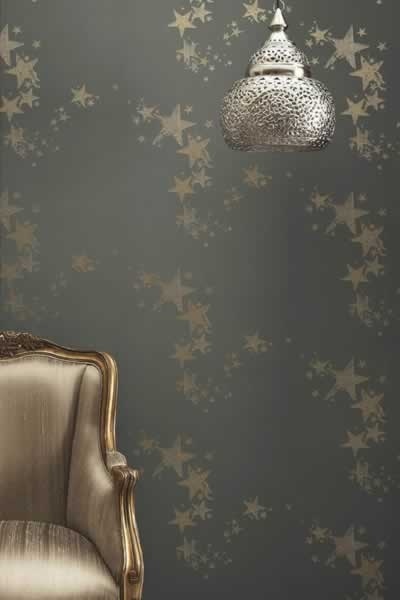 Gunmetal, gilt, and metallic colors make this room feel celestial. Barneby Gates is the brainchild of Vanessa Barneby, Vogue Living Editor and Alice Gates, graduate of London Art School and fashion textile designer. Pooling their experience, Vanessa and Alice set up Barneby Gates in 2009. With a quintessentially English feel, their inaugral collection gives classical ideas a contemporary twist using subtle metallic finishes and a touch of irony. Image found HERE. A slightly more updated take on “your girly bedroom”. Bring classic linear pattern into your home with a striped chair cover in the latest coral shades. Continue the modern feel with a co-ordinating ribbon picture and keep the rest of the colours neutral. Using all natural materials such as woods, cottons, glass, and patinas, this room feels extremely rustic yet traditional. Image found HERE. Wary Meyers Decorative Arts, a redone and recreated Brooklyn, NY Brownstone. New paint colors with old world details. Image found HERE. A tiny 969 sq ft carriage house is in Des Moines, Iowa. The Country Home team transformed it using renewable and recycled products. To see more of the eco friendly images of the home, here HERE. 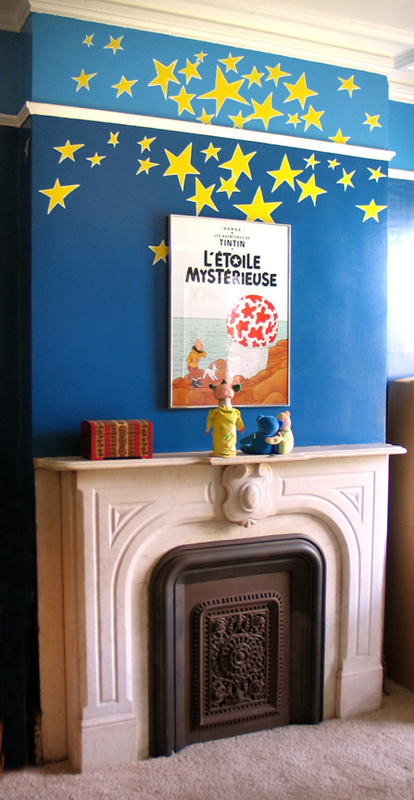 Imported all the way from Sweden, this very cool wallpaper is perfect for any kids bedroom (or any room, for that matter). Product found HERE. A mix of lilac, purple and white in layers of pattern create a look that’s fresh and exotic. A pretty block-print coverlet and paisley pillows draw the eye, while gold star patterned wallpaper on the ceiling adds whimsy. Image via Canadian House & Home, HERE. Moravian Glass Star Lamp, vases in a Cloche, black color schemes, almost a Victorian yet, Gothic vibe. 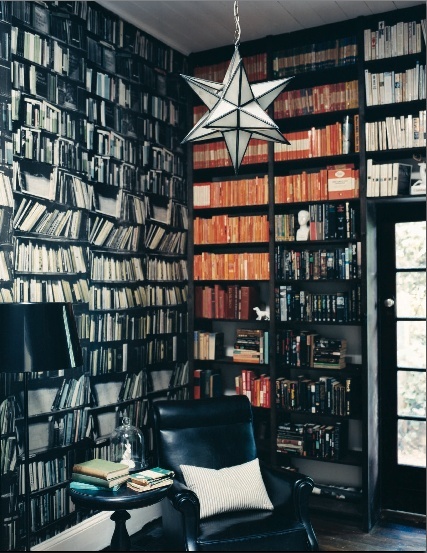 The wallpaper is a bookshelf! 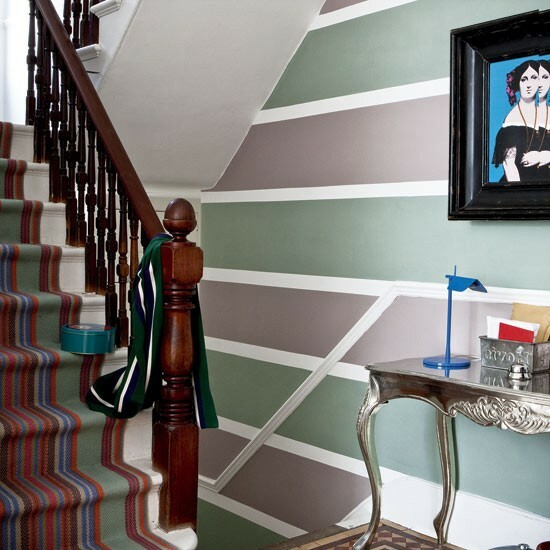 Create a striking backdrop in the hallway with a glamorous wallpaper such as this striped design! Image via House to Home UK, HERE. This stripes chevron rug, the linear Kansai Bookcase, the bright trunk, and alternating colors bring an eclectic geometry to this space. Image found HERE. 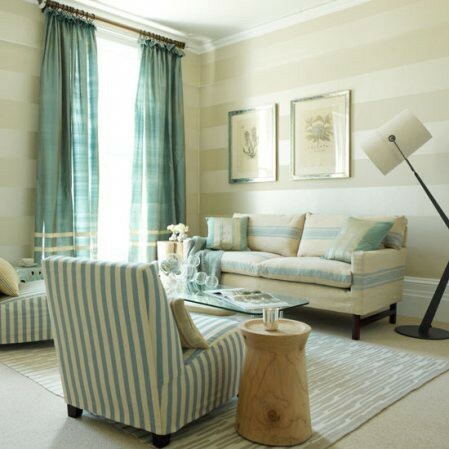 A striped wallpaper hung horizontally gives a fresh, contemporary impression. Simple pieces in white lacquer used with a leather sofa look suitably understated. 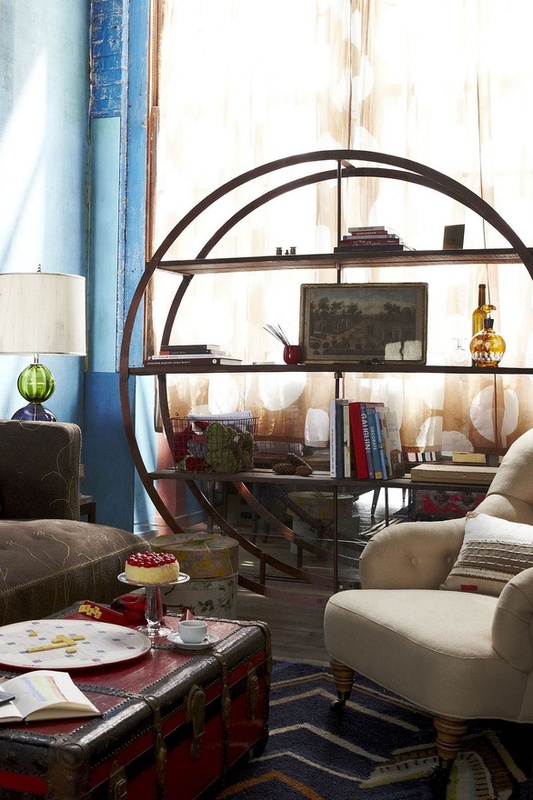 A patchwork chair and floral scatter cushions, add depth to the scheme. Items from BoConcept and Dwell. Image found HERE. 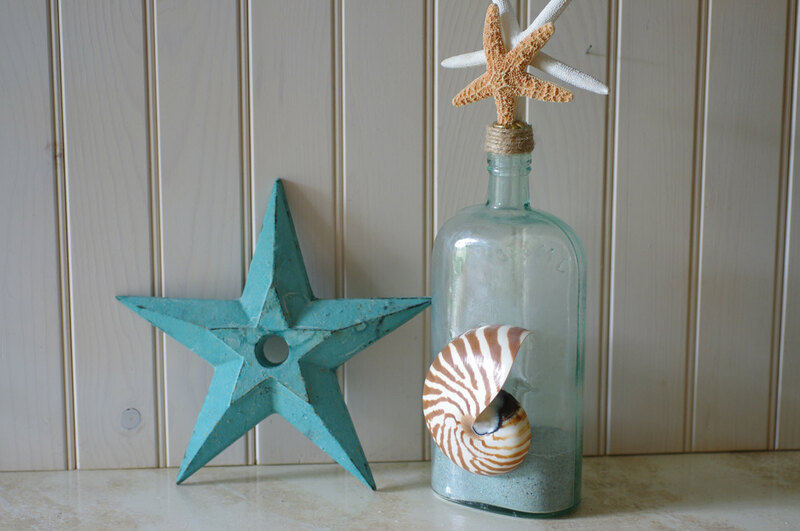 Beach Decor Cast Iron Star – Patina Green: This is a beautiful cast iron star that we’ve painted a wonderful patina green. This is a special paint that has a chalky feel to it and looks like the natural patina that occurs with age. If you love aqua or turquoise, you’ll love this star. It will look great just proped on your mantel or hanging on your wall. Object found HERE. 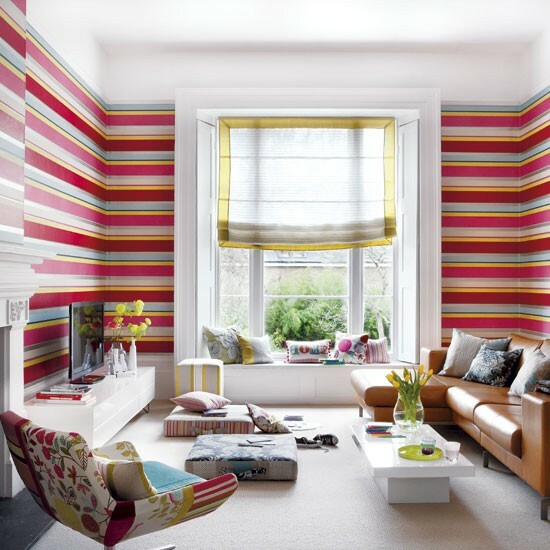 Unite the contours of an awkward space with bands of colour, separated by seams of white to keep the look fresh. Mix in different-scale stripes, such as the skinny ones on this runner, for a modern edge. Image found via House to Home UK, HERE. 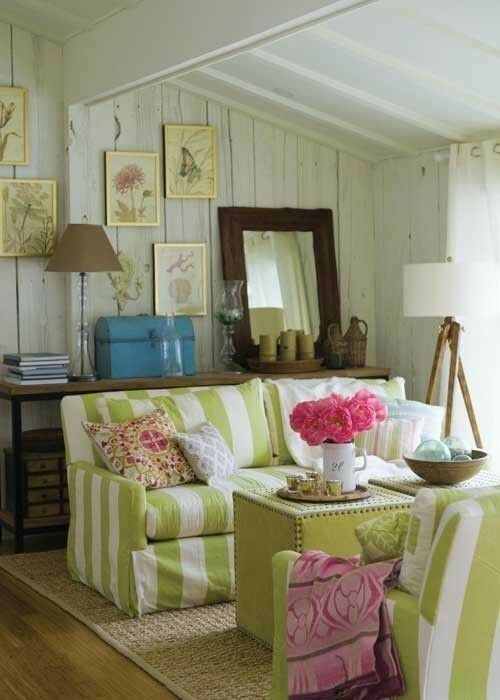 A sunshiney, summer, popsicle reminiscent color. The duvet cover and shams have an almost nautical vibe. Image found HERE. The reflective surfaces in this bright office mimic the sun and stars. The chandelier pendant is also a modern take on a pointed star. Image found HERE. Stars are otherworldly and symbolic, stripes are expansive and bright. Together, a perfect mix, forever.